Highly distinguished in his career, Lawrence McDonald had a tremendous influence upon me during my Oberlin career and beyond. He was a truly incredible teacher! Technical precision, curiosity, highly skilled diagnostician, and solid musicianship best describe my memories of Mr. McDonald. Mr. McDonald possesses unbelievable ability to pin point a particular problem in clarinet playing especially in the areas of breath support, air column, and articulation. I affectionately refer to him as the "tongue doctor". 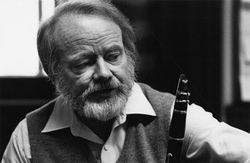 Mr. McDonald had a passion for the early clarinet and performed on it extensively in his career, maintaining a close association with the Smithsonian Institution in Washington DC. Here is his historic recording of Mozart's Quintet in A Major, K. 581 with the Smithson String Quartet as part of the Smithsonian Collection of Recordings. I first began my bass clarinet study with Mr. Zetzer as a winter term project while I was at Oberlin. My original month long project quickly became a series of bass clarinet lessons that continued through a good portion of my undergraduate career. 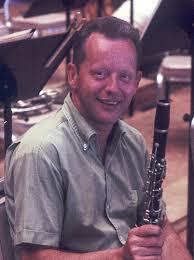 Mr. Zetzer was the "grandfather" of bass clarinet playing in the United States. A remarkable performer, his distinguished tenure in the Cleveland Orchestra lasted for more than 30 years. To him the bass clarinet was the "superior" instrument in the clarinet family which translated into his intense passion for teaching the bass clarinet; always referring to the Bb clarinet as the "little clarinet". My fondest memory of him was as he stood in front of me, baton in hand, saying, "now pay attention, this is the way George Szell would have you do it". ​My study with Mr. Marcellus was between undergraduate and graduate school; A.K.A. my "year off". Studying with Mr. Marcellus was truly a remarkable and long lasting experience. I regret that I was too young to have ever heard him live with Cleveland Orchestra; I understand that it was an amazing experience. As a teacher, I found him extremely dogmatic and unyielding in his commitment to how the clarinet should be played, especially when it came to sound quality and air column use. His most profound influence on me was confidence building, and I will always be grateful for that. Live broadcast of Marcellus performing the Debussy, Première Rhapsody with the Cleveland Orchestra. My two years of study with Mr. Hasty and my experience at Eastman were simply not long enough. Mr. Hasty's knowledge of the clarinet, intense passion, musicianship, and expertise is unrivaled with anybody else I have experienced. His remarkable career spanned several decades; having performed with such distinguished orchestras as the National Symphony Orchestra, Baltimore Symphony Orchestra, Indianapolis Symphony Orchestra, Cleveland Orchestra, Pittsburgh Symphony Orchestra, and the Rochester Philharmonic. 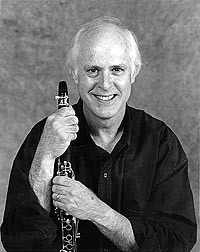 His 30 year teaching career at the Eastman School of Music produced many accomplished and renowned clarinetists. I feel extremely fortunate and blessed to have experienced his teaching and become part of his esteemed legacy. ​My doctoral studies began sometime after I started performing professionally and teaching. Dr. Bartley, an accomplished performer and teacher herself, was acutely sensitive to my needs and helped me tailor my doctoral program to best suit my professional growth. 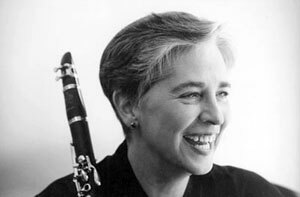 She has a vast knowledge of clarinet literature and greatly expanded my performance and teaching repertoire. I firmly believe good feedback is vital to all stages of professional development. I thank Dr. Bartley for bringing me back to my clarinet roots, reinforcing the solid fundamental principals of good clarinet playing, and for reeling me in from "professional drift". I highly recommend contacting Dr. Bartley and schedule a lesson.